Sometimes you have to let go of something good. It’s not always about the negative things in our lives that hold us back and keep us breathing shallow. I get lost in my dreams and they paralyze me in a different way than the future does. There is so much possibility that I hold tight, choking the air out of my own lungs. I don’t want to let my dreams go. I can’t lose them. When you spend twenty-five years thinking the sky is the limit, the day when you realize you are in fact tethered to the earth hits hard. You don’t know whether to look up and cry for what could have been or look down and cry for what is. There is a beauty in dreams. They open worlds of possibility. There is so much promise. But you can’t get to the sky by looking up. Sometimes you have to look down and start low. You need to train with two feet on the ground and get dirty and buckle in. And if you get to a point when you’re in the shuttle ready to launch, and you realize you’ve changed your mind, well that can just about hit you square in the chest knocking the wind out of you. Sometimes we long for so much, yet put it off too long. And we’ve changed. Everything is go, go, go—-achieve. But what if it’s not about that at all and we’ve spent our lives striving for something we were never meant to have? Our dreams can hold us back. They can keep our feet deep in the earth trying to be ready for the dream or have our gaze so far in the sky that we don’t recognize the beauty of now. 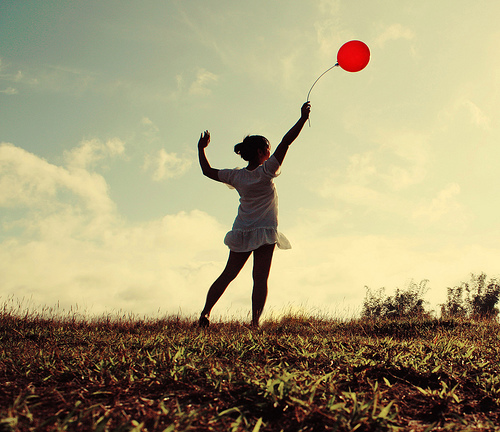 Sometimes we have to let dreams go so we can enjoy the now. Dreams are beautiful. Life is even more beautiful. Hold one loosely and look up and smile at it occasionally. Hold the other tight and look around and be in it always. And exhale as you do. 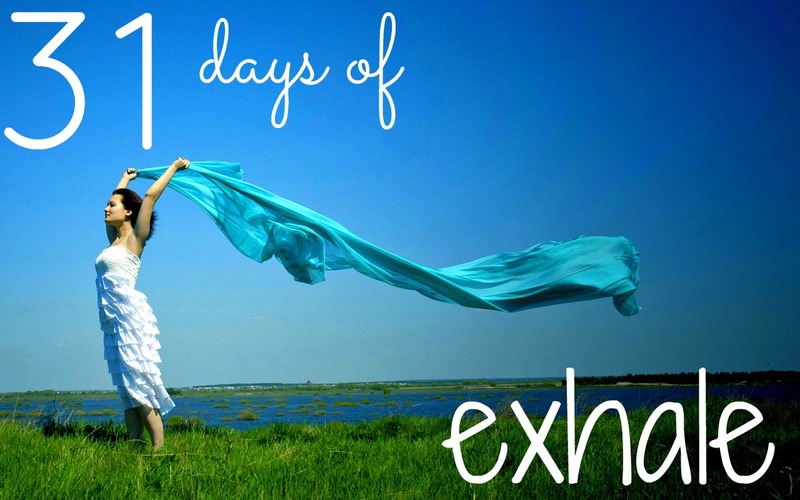 If you would like to see the rest of the 31 days to exhale series, please click below.